Randy W. James has practiced civil trial law for 30 years, primarily in the areas of catastrophic personal injury and death cases with an emphasis on transportation and consumer products liability and premises liability. He has practiced before state and federal courts in 30 states and the District of Columbia. In the course of his career, he has become experienced in all facets of case evaluation and investigation and trial preparation and practice. His work in complex injury and death cases has also given him a wide range of multi-disciplinary experience in the fields of engineering, physics, failure analysis, accident reconstruction, fire science, premises security, food safety, economics, psychology, medicine, epidemiology, life care planning, and rehabilitation, among others. He is rated “AV” by the Martindale-Hubbell Law Directory and is listed in the Bar Register of Preeminent Lawyers in Products Liability, Civil Trial Practice and Personal Injury Law. He is also a Life Member of the Multi-Million Dollar Advocates Forum and a Missouri/Kansas Super Lawyer. 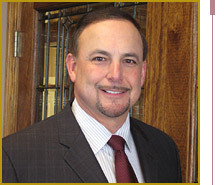 Marian E. Neal has worked with Randy James as a legal assistant and office manager for his entire career. Ms. Neal, who holds a Masters Degree in Business Administration, is also experienced in all facets of trial preparation and practice. She is an integral part of the JLS trial team and can assist lawyers and legal assistants alike in case preparation, management and conduct at trial. Our office is conveniently located across from Lee's Summit North High School at 218 NE Tudor Road. Contact us directly at (816) 554-1500 or click here for directions. Formal mediation training through the Center for Dispute Resolution at Missouri State University and the Washington University School of Law Alternative Dispute Program.